A Mercedes-Benz EV bearing features at par with the S-Class saloon has been confirmed to arrive in 2020. However, the company will make the electric vehicle separate from the S-Class range. “We will have an electric vehicle at the level of the S-Class, no doubt, but it will not be the S-Class,” Michael Kelz, large-cars project boss of Mercedes, revealed during an interview with AutoCar. Instead of being included under the flagship car of Mercedes, the upcoming luxury saloon EV will be a part of the EQ electric range. It will join the ranks of the EQ A and EQ C SUV as electric models that do not have existing counterparts in the Mercedes-Benz lineup. Kelz said the Mercedes-Benz EV based on the S-Class will utilize the platform called the “Modular Electric Architecture” or MEA. The platform was previewed at the Frankfurt Motor Show last year as the architecture used by the Mercedes-Benz EQ A.
MEA is specially designed for the coming EQ range. The one shown in the EQ A measures 4,284 long, 1,811 wide, 1,427 high and 2,728 mm in wheelbase. Since the EQ A concept features a hatchback, it is possible that the S-Class saloon-based EQ will have an improved version of the platform. There’s no word from Kelz yet about the planned output of the top-of-the-line EQ saloon. Looking at the names trademarked by Mercedes last year under the EQ brand though, one of them read “EQ S”. 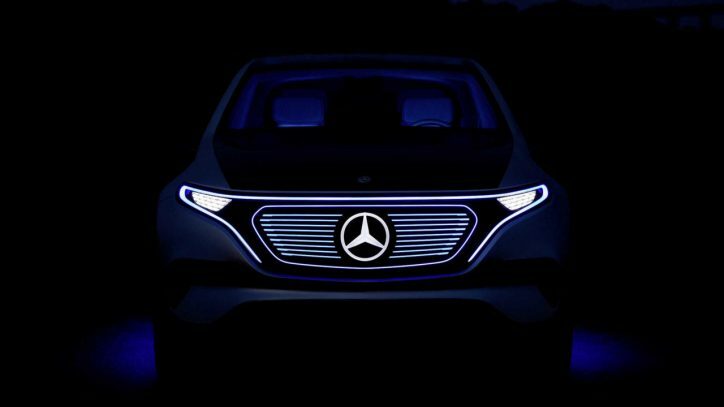 So, taking into account the information discussed here, it is possible that the Mercedes-Benz EV based on the S-Class will bear the model name EQ S.